Also known as manicuring your weed, trimming cannabis buds is a dreaded but necessary step of the overall growing process. When you do it correctly, you are rewarded with a much higher yield, but it is a skill that is best acquired through practice. It is a mistake to think that you can pick up a pair of shears and cut random leaves – if you have no idea what to do, it is best to leave your plants alone. Indeed, many experienced growers avoid the trimming process entirely. 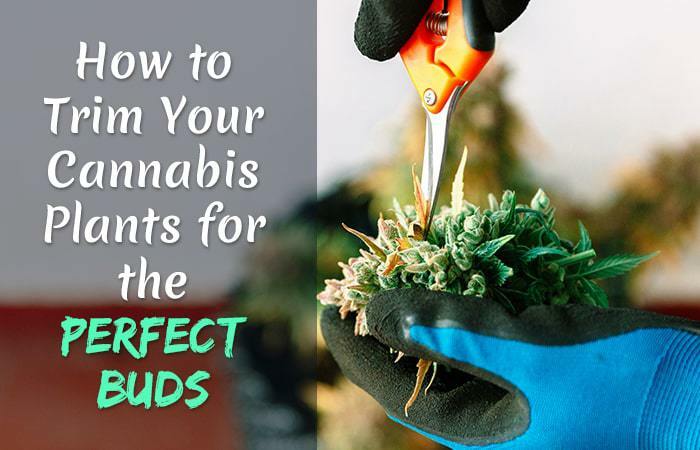 This is an admirable attitude because it involves allowing nature to take its course; However, trimming your cannabis plants during the course of the growth cycle can potentially ensure you end up harvesting the healthiest plants with a potent level of THC. If you’re ready to take the next step beyond merely growing marijuana, read this concise guide to tell you the basics of trimming marijuana in your garden for perfect, potent buds. The process of trimming your cannabis plants involves simply clipping pieces of them away. When you remove specific parts in the right quantities at the right time, you benefit from a stronger plant. It is especially important to identify and remove dead leaves. Think of it as the equivalent of removing dead tissue from a wound.